Some nations, such as Canada, allow finning at sea as long as rest of the animal is brought back to shore as well. This is enforced by weighing the shark carcasses, weighing the fins, and comparing those weights to ensure that the number of fins approximately equals the number of carcasses. According to a newly-passed law, all sharks in the United States must be brought to shore with their fins still attached (with the exception of smooth dogfish, which can be finned at sea if the rest of the carcass is brought to shore as well). Nations including Palau, the Maldives, and Honduras have made fishing for sharks within their territorial waters illegal. Last week, Guam’s Senate voted unanimously to make the sale, possession, and distribution of shark fins illegal within the jurisdiction of that U.S. territory. This is very similar to a law passed in Hawaii last year, and similar to a law currently being debated in California. Within the United States, which has some of the strongest conservation laws in the world, relatively few sharks have legal protections. Several sharks in U.S. waters are considered “species of concern“, (including the basking shark, the dusky shark, the porbeagle shark, and the sand tiger shark) but this designation doesn’t result in any automatic legal protection. Only one shark species, the smalltooth sawfish, is actually listed under the endangered species act. A few species, such as the great white shark, have other legal protections in the U.S.
Shark management in the United States is complicated by our use of “shark complexes”, groupings of similar-looking species. 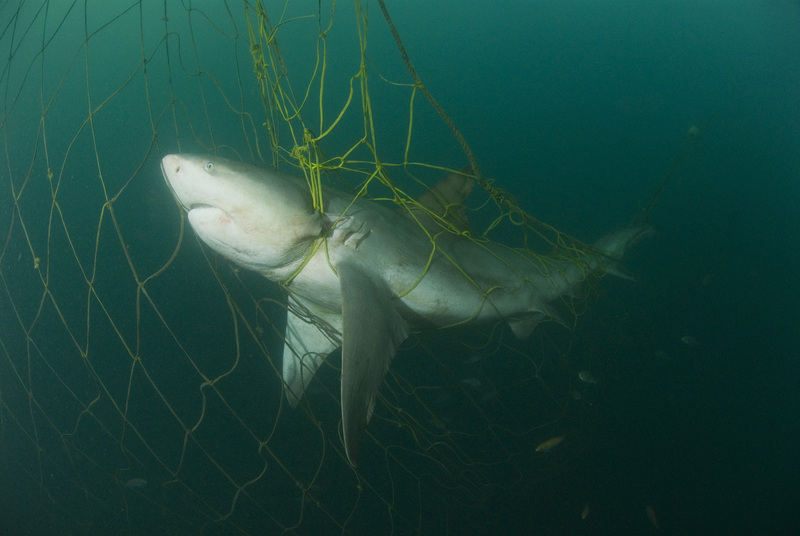 Since many species look similar and many fishermen simply list bycatch as “shark”, species-specific management appears impossible for the near future. Since many sharks don’t stay within national boundaries, international agreements are important. However, they are exceedingly rare. When eight new shark species were proposed for CITES appendix 2 listing at last year’s meeting, none of them received international legal protection. A few shark species presently have CITES appendix I or II protection, including the great white shark, basking shark, whale shark, and several sawfish species. One of the greatest successes in international shark management came last year when the Indian Ocean Tuna Commission made it illegal to catch severely depleted species of thresher sharks. The Atlantic tuna management body (ICCAT) has made similar strides. As I stated in “The problem, the goal, and how to get there“, I don’t have a problem with sustainable shark fishing and I don’t think that laws as strict as those in Palau are necessary globally. However, the life-history traits associated with sharks make sustainable fishing difficult, and no shark species can endure the large-scale commercial fishing that presently targets many of them. We have a long way to go before the current state of shark conservation policies reflects the best available scientific recommendations. The “land fins separately and weigh them” policies that many countries use can be exploited, and most conservationists would prefer a “fins attached” policy worldwide. Nations need to better manage their shark fisheries and better report catch statistics. A serious effort needs to be made to reduce bycatch. Shark catch quotas need to be drastically reduced for most species. Sharks whose populations have drastically declined need strong national and international legal protections. Though we have a lot of work to do, I’m optimistic. More people know about (and care about) the plight of sharks than ever before. With your help, we can improve this particular State of the Field. Shark complexes are especially frustrating because those similar-looking species can have wildly different life histories. In the coastal shark complex, dusky sharks are actually prohibited in some states because they have considerably lower reproductive output and slower growth than blacktips, spinners, and other large coastals, but I can definitely see how it could be tough positively IDing one on a busy fishing vessel. It could be like skates or river herring in that eventually you see enough of them to be able to tell them apart at a glance, but who knows how many mistaken ID’s get through until experience sets in? Great post David – again! ban longlining. just get rid of it completely. that’s one of the easy answers. There are no easy answers. Banning longlining is an unnecessary overreach. Is the US a big consumer of sharks? If so, how? I mean, I don’t see “shark” advertised in supermarkets and restaurants much, but do they get used for other generically-labeled “fish” products? Or, is their reproductive rate so low that the few sharks I do see available for consumption are a concern? Sorry for all the questions, and I realize that the article emphasizes international regulations, I’m just curious as a US resident. Never be sorry for asking questions. The largest consumers of shark are China, Japan, and Southeast Asian nations. They primarily consume shark fin soup. However, you can find shark in the U.S. I’ve seen some supermarkets sell meat from thresher shark, mako, and sandbar. Additionally, many Asian markets sell shark fin soup in the U.S. and many fancy Chinese restaurants in the U.S. have shark fin soup on the menu. This is mostly true in big cities, but the Asian market in Charleston, SC has shark fin soup for sale. I hope that helps clear things up for you. Thanks for reading!